Every morning at camp when our kehillah (community) awakens, we begin our day by reciting Modeh Ani, the morning prayer that starts with the words “I give thanks.” Our tradition teaches us that we should start each day by humbling ourselves and expressing gratitude for the food that we eat, the earth we walk upon, and the people around us. By engaging in this daily practice, we remind ourselves to pause and actively experience gratitude. This Thanksgiving, our team at Ramah in the Rockies wanted to reflect upon our many blessings and to say “Thank You” to the community that has supported us steadfastly through every obstacle and challenge. Every summer, we are once again reminded how lucky we are to have such an incredible, caring community at camp. Our chalutzim (campers), tzevet (staff), and guest educators come from across the country and around the world to contribute their ruach (spirit). The result is a vibrant and diverse Jewish community unlike any other; a supportive and loving kehillah that encourages everyone to embrace who they are and grow into the person they want to become. And when we gather together to welcome Shabbat, the power of this community becomes almost tangible; an electricity that draws people back to our ranch summer after summer. 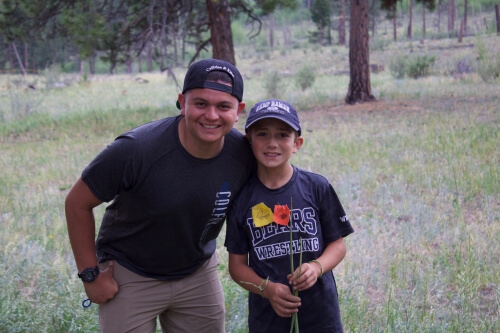 Our location in the heart of the Rocky Mountains is one of our favorite things about camp. We are so grateful to be located in the middle of Pike National Forest, where our chalutzim have the opportunity to witness the splendor of the natural world every single day. 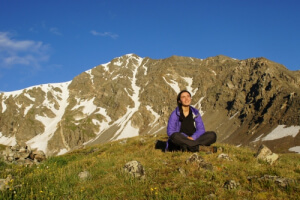 On their masa’ot (backcountry excursions), chalutzim experience Colorado’s beauty as they bike scenic trails, raft through rapids, climb natural rock faces, and even summit mountains. By the end of their time at camp, our chalutzim gain an appreciation for all living things, and better understand their place in the world. The impactful, high-quality programming that is the signature of Ramah in the Rockies would not be possible without the support of our extended community. Thanks to over 700 unique donations since our fire, we are able to raze the burned structures and build temporary facilities to welcome our campers and staff in 2018. Additionally, an anonymous donor has given us $1,000,000 to kick start our rebuilding campaign for our permanent, multi-purpose lodge, which will serve our community for 2019 and beyond! 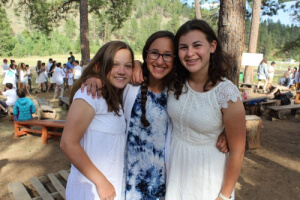 We are grateful not only for the physical improvements these donations will allow us to make, but for the generosity of spirit and commitment to the Jewish camping experience they demonstrate. Here at Ramah in the Rockies, we LOVE what we do. Thanks to you, we will continue the important work of nurturing the character development of Jewish youth for countless summers to come.